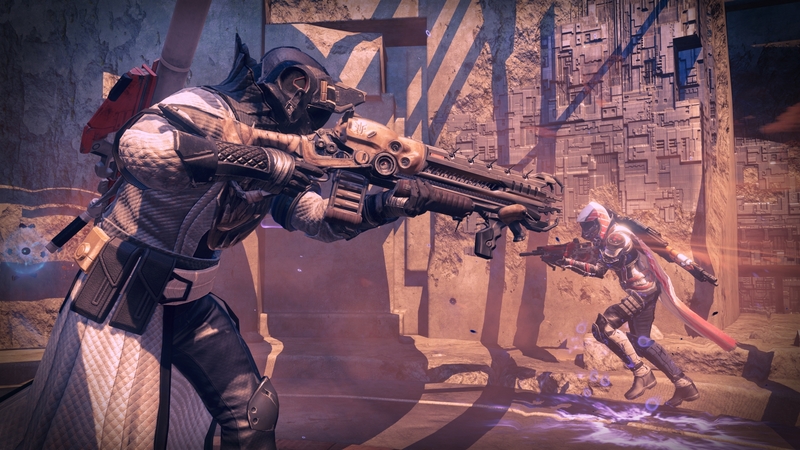 The following images not only show off the new Crucible maps coming with House of Wolves – including the PlayStation exclusive map – but also show off some new Exotics and Legendary gear. 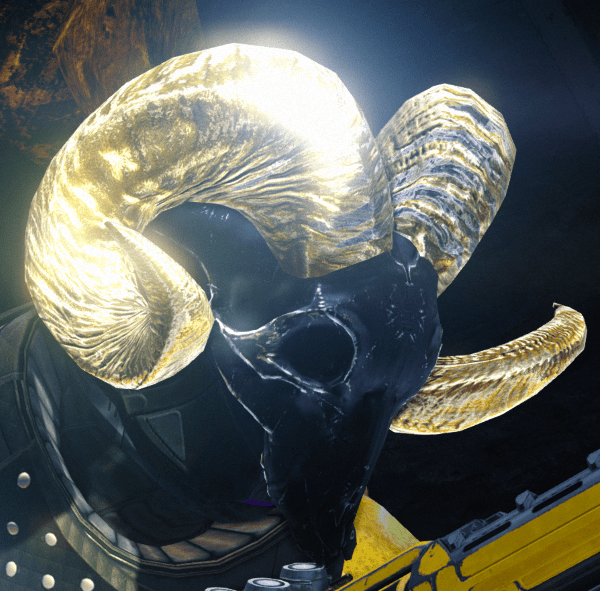 Most of the teaser images are finally seen in HD! 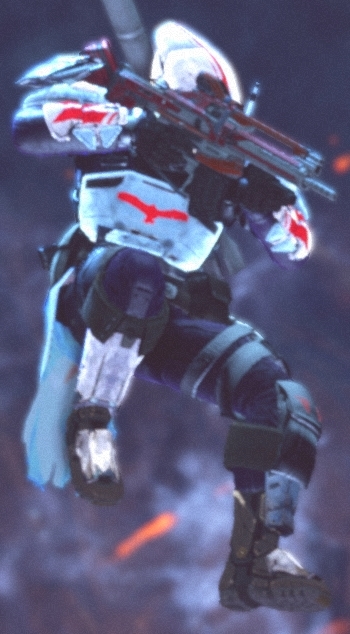 Hover over an image to see its description, and click an image to enlarge it. 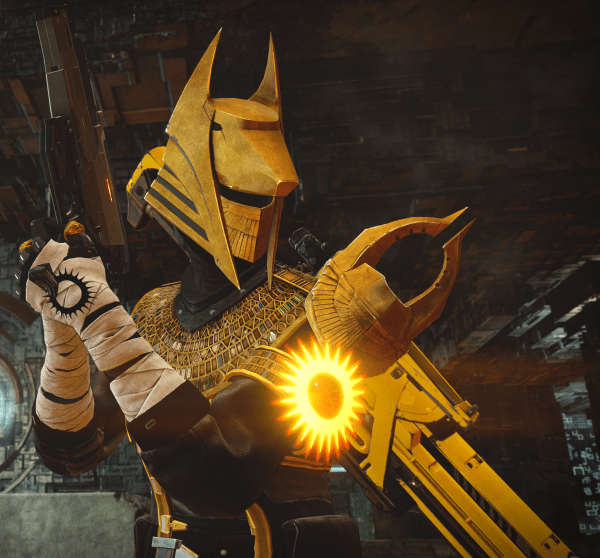 You can check out the unconfirmed perks for these new Exotics in our database, but just keep in mind that they may be altered in the near-future. 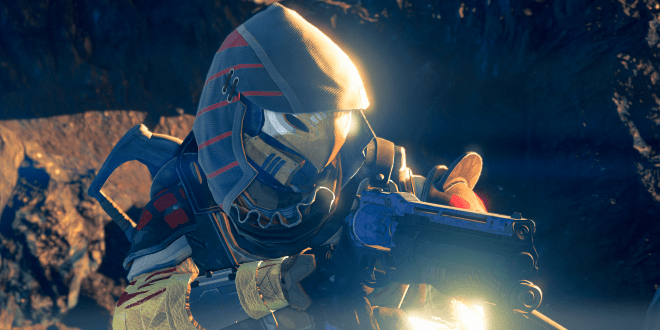 – Increased number of Rare & Legendary Engrams rewarded after each match. 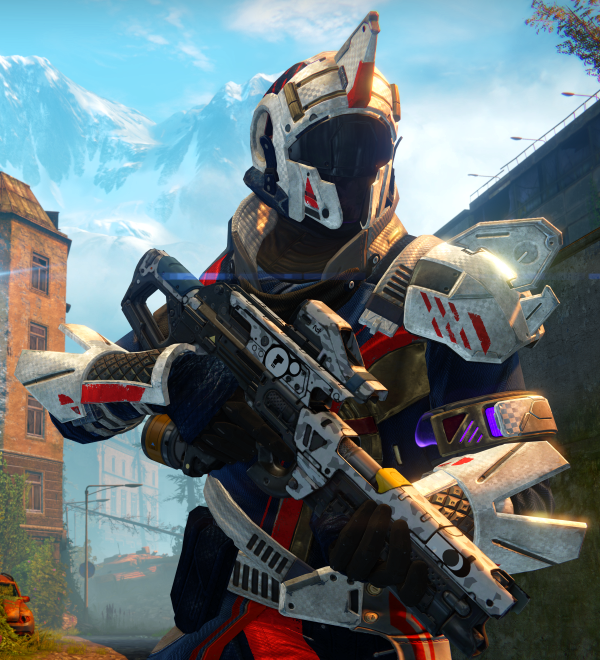 – Completing the daily Crucible missions allow you to receive Motes of Light & Passage Coins. 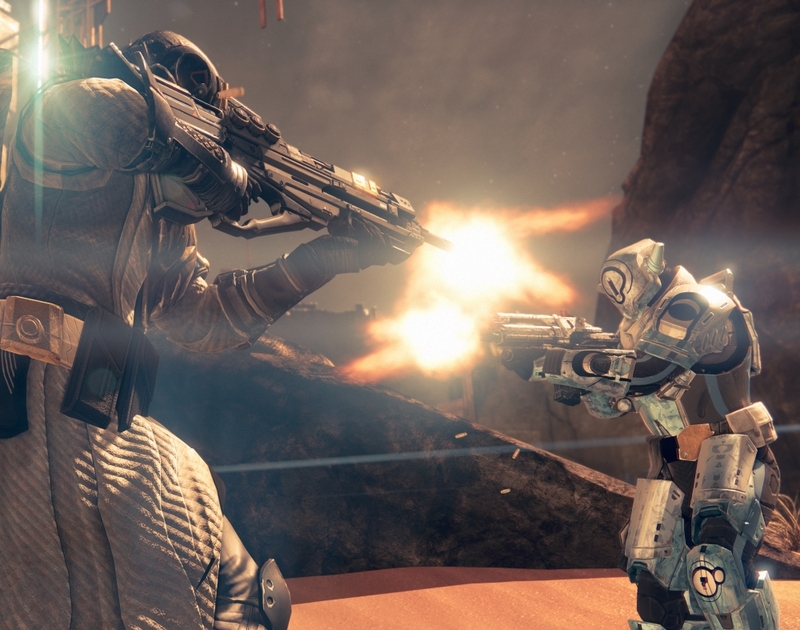 – It’ll be less likely for a player who does well in the Crucible to not receive anything. 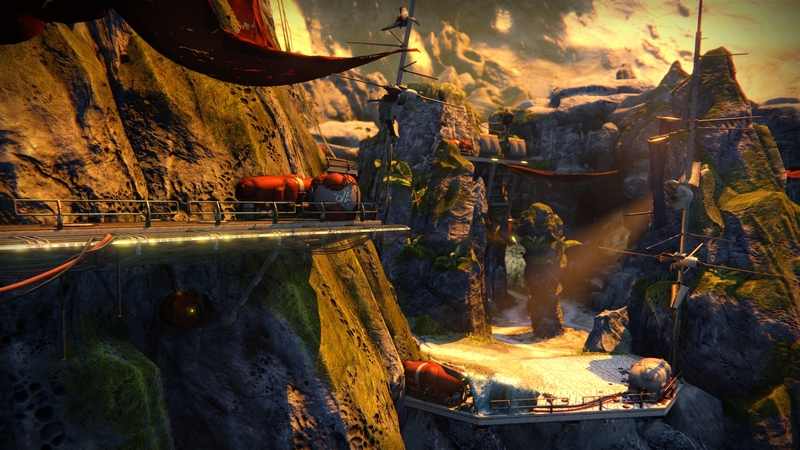 – TDB Crucible Maps will be free for everyone. 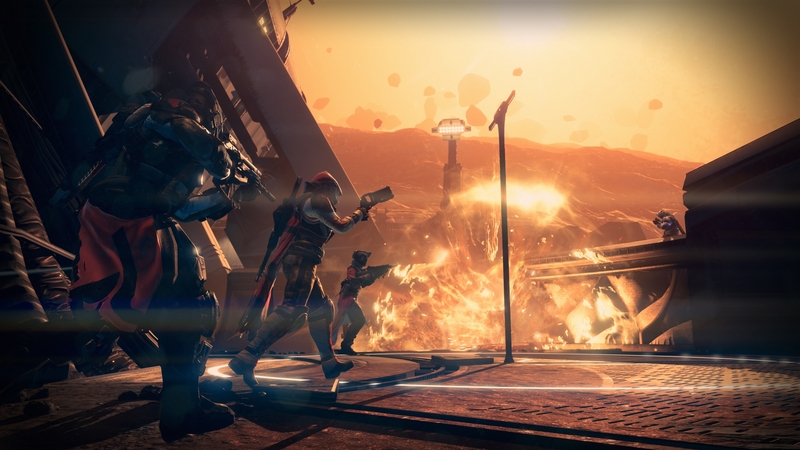 A decommissioned Firebase is believed to have been a key defensive position used by the Cabal when they established their warbase on Mars. 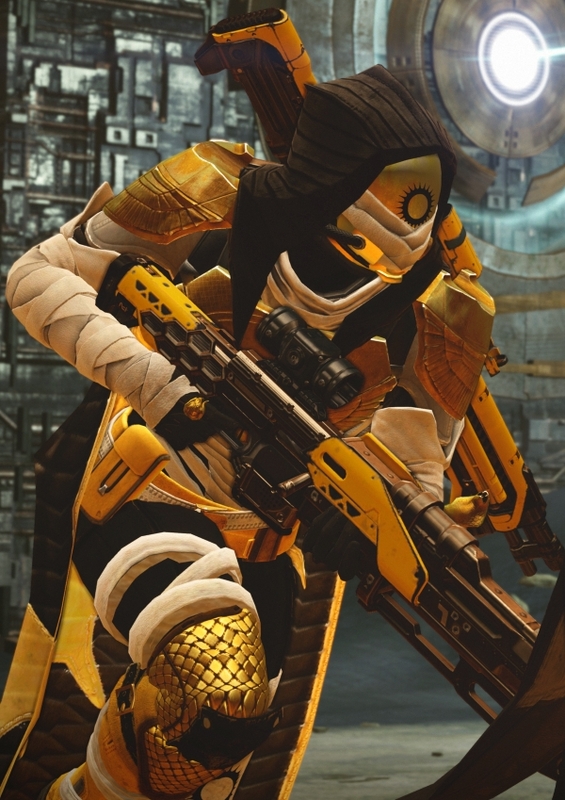 Exotac Angel Hunter – Eyes Glowing? 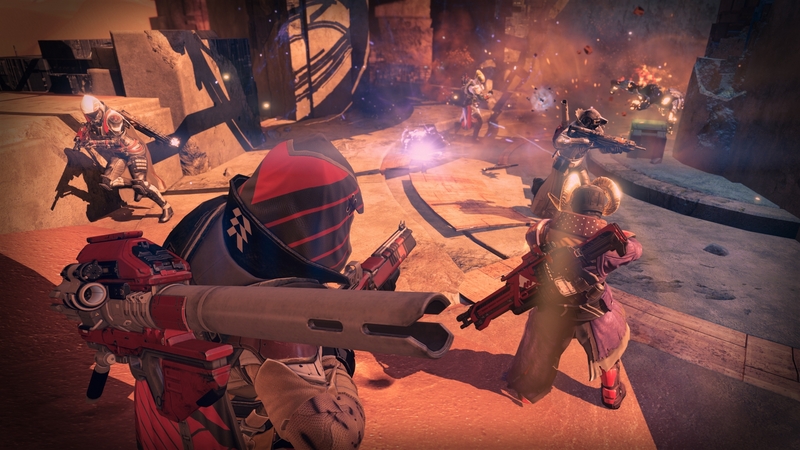 Set within a mysterious clockwork-like structure on Mars built by the Vex. 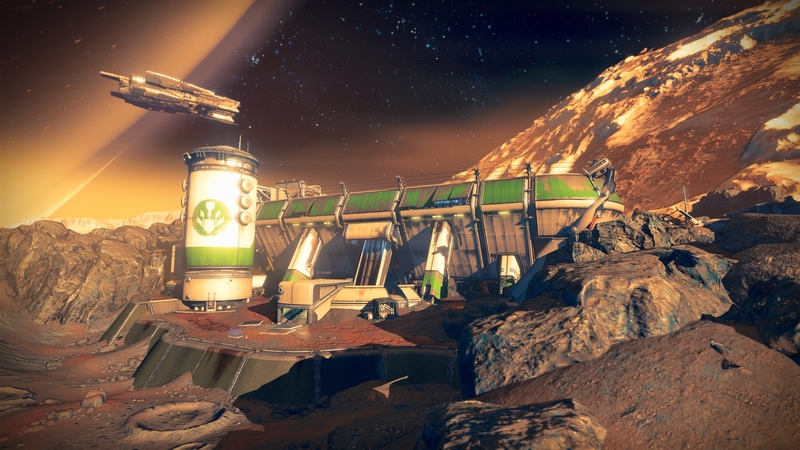 A Fallen hideout located in the calderas of Venus with precarious drops that offer alternate routes for those willing to risk the fall. 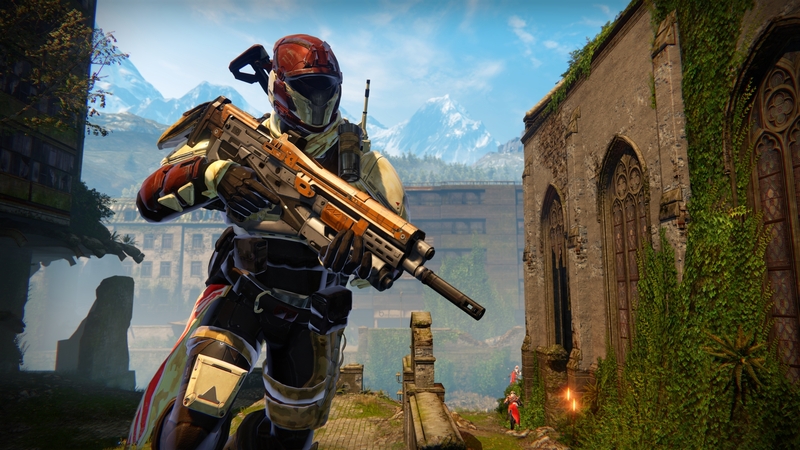 An asymmetrical map with both long sightlines and tight interiors, set in the European Dead Zone on Earth. 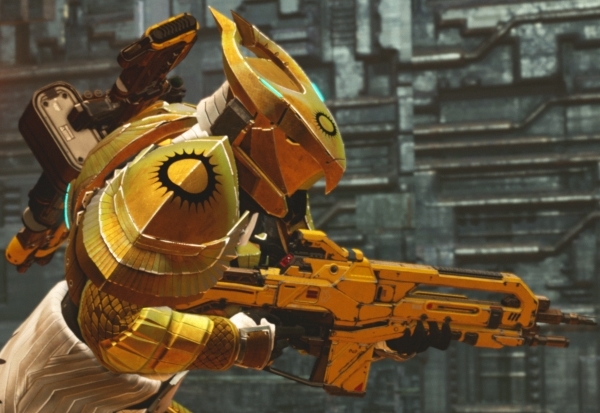 As suggested in this video, skins may be coming to weapons in the House of Wolves. 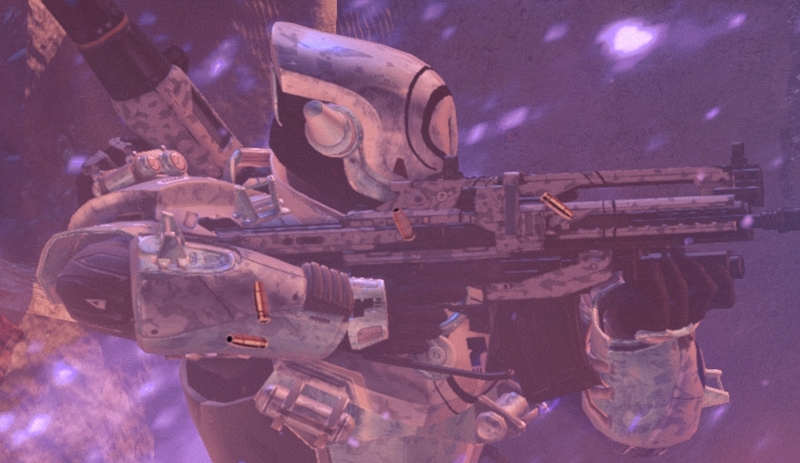 The Titan above is holding a weapon with the same color and pattern as the teased Fang of Ir Yut. 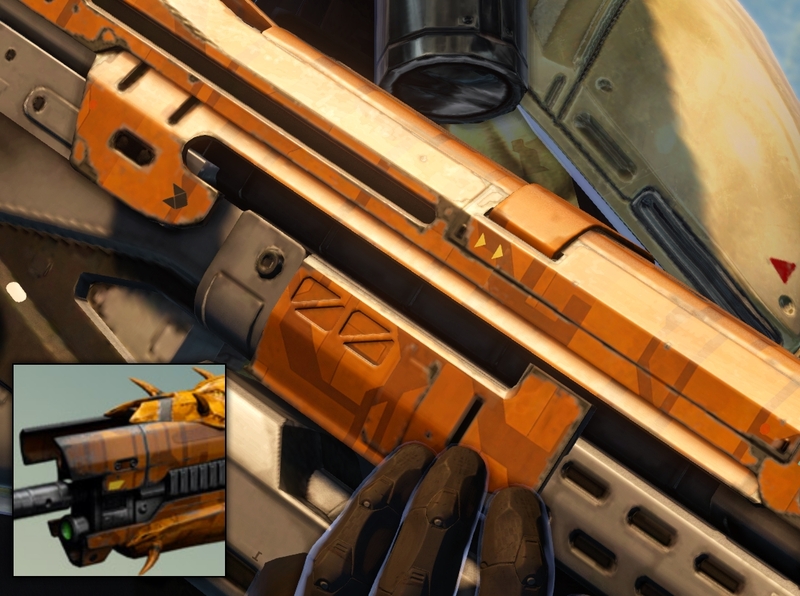 The orange color doesn’t match any of the vendors, and now we’ve seen it on 2 different weapons. 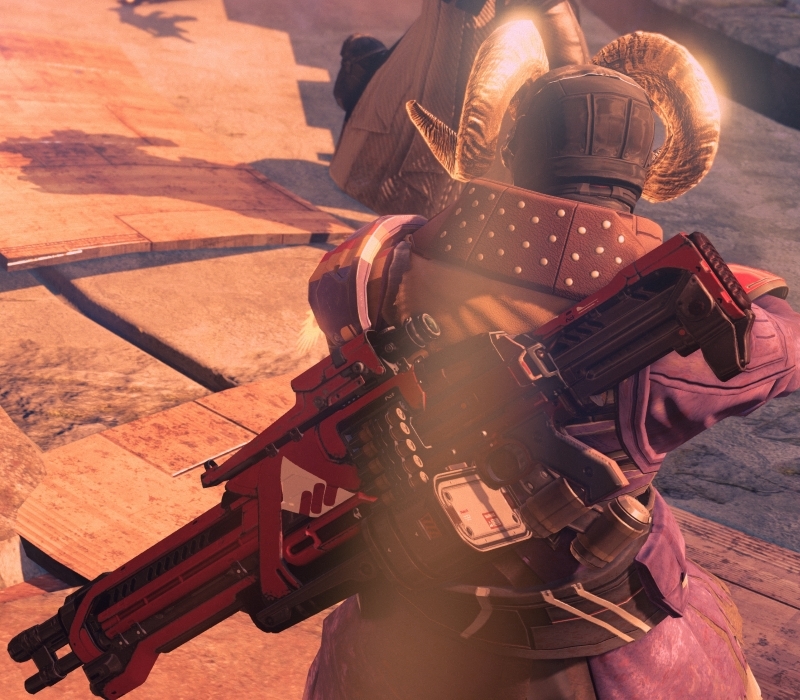 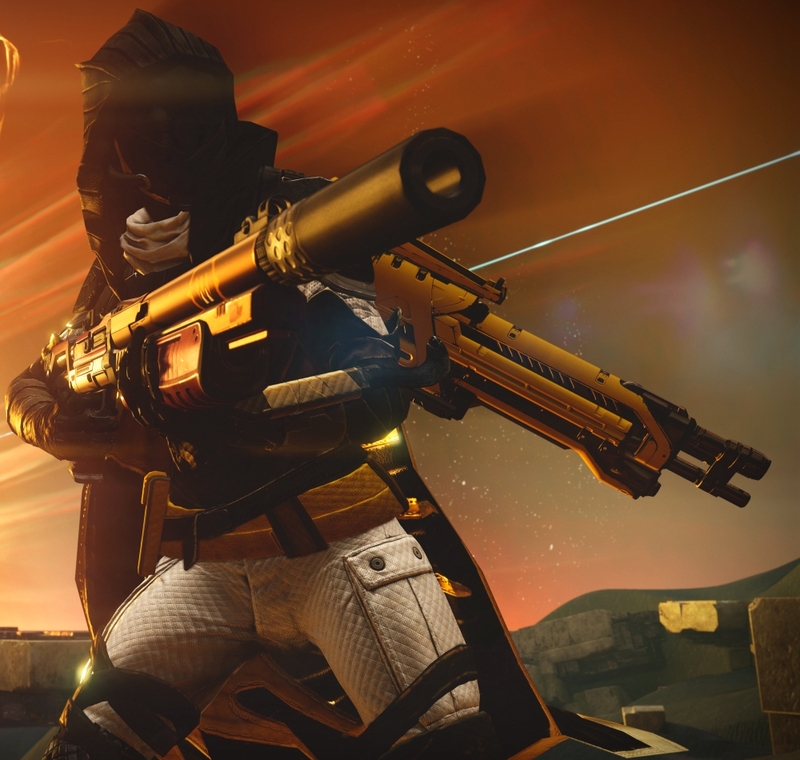 2 weapons, same texture – Is House of Wolves introducing Gun Skins? 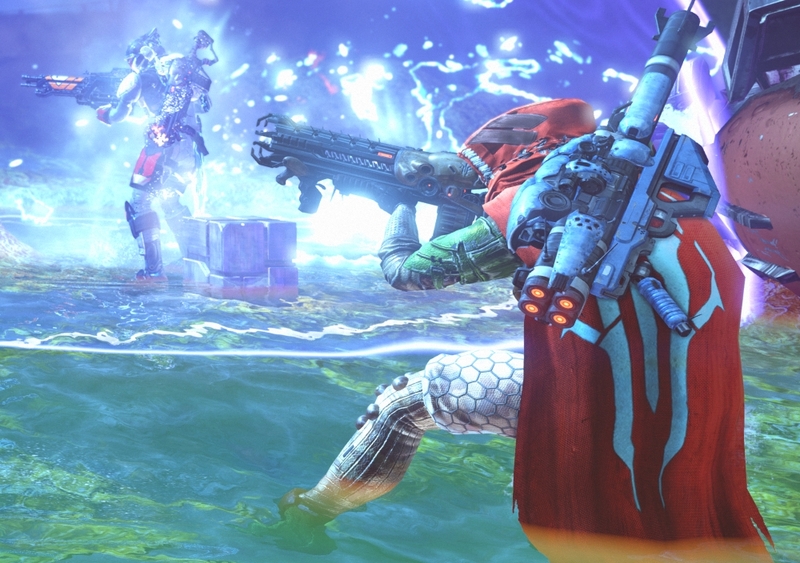 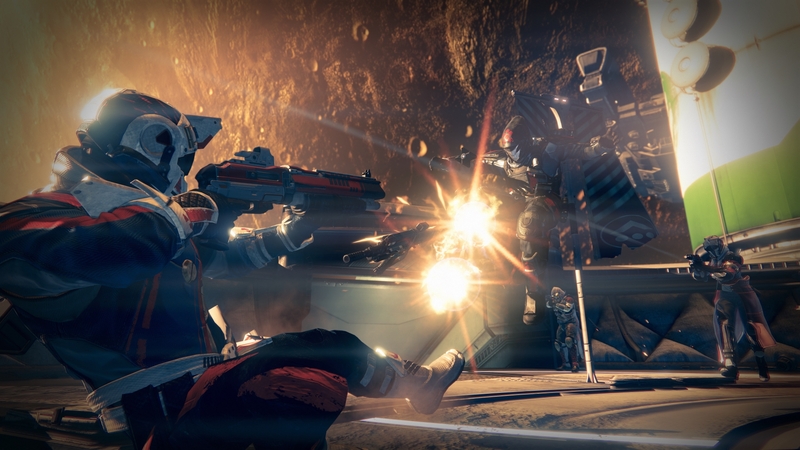 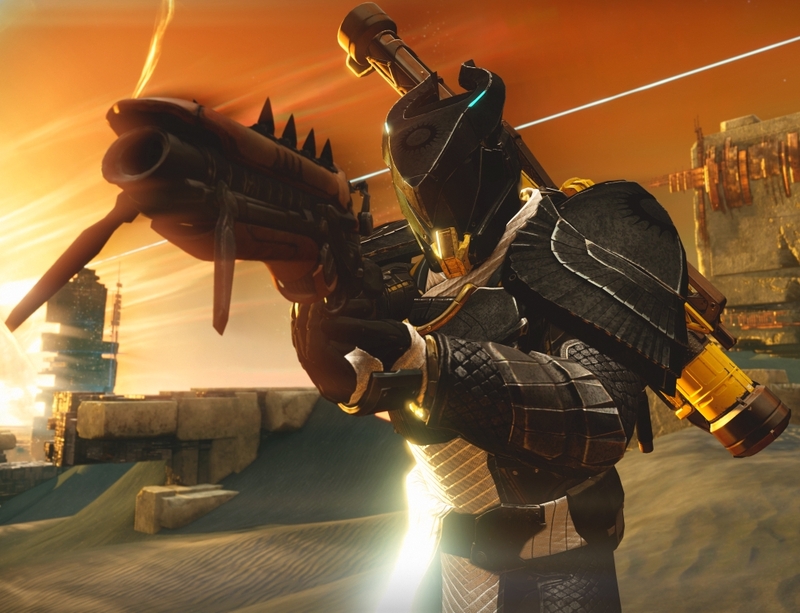 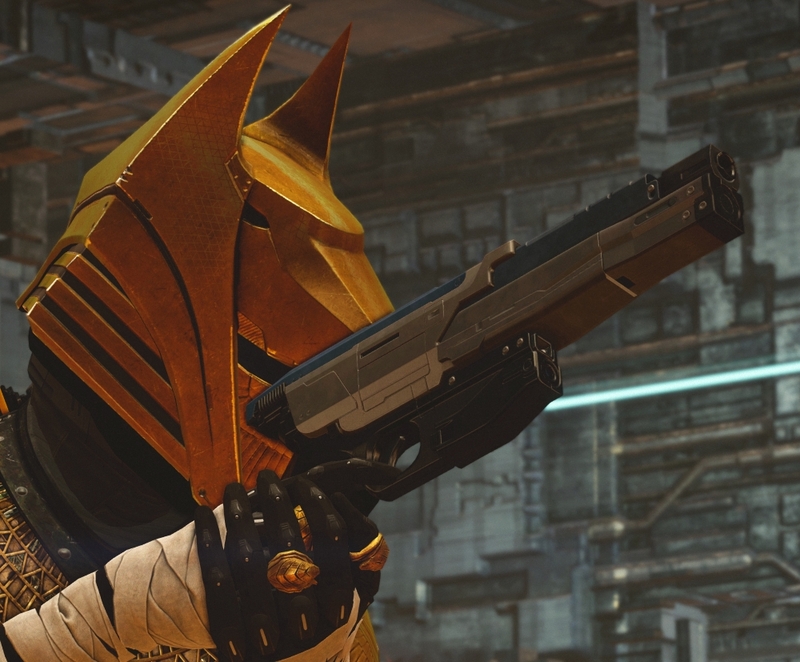 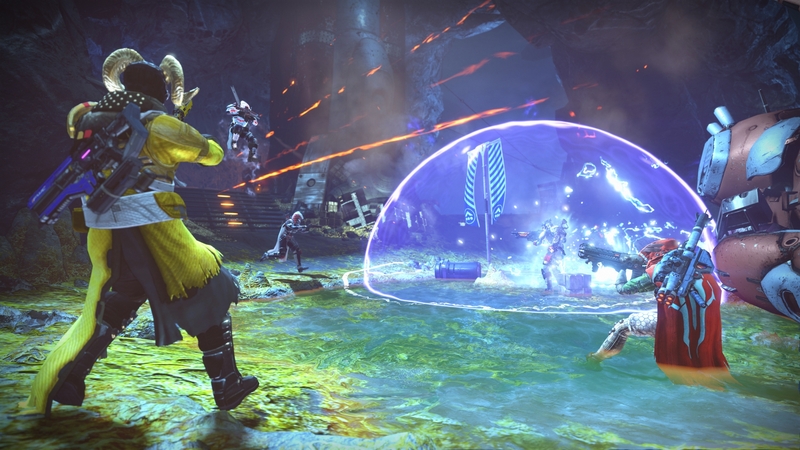 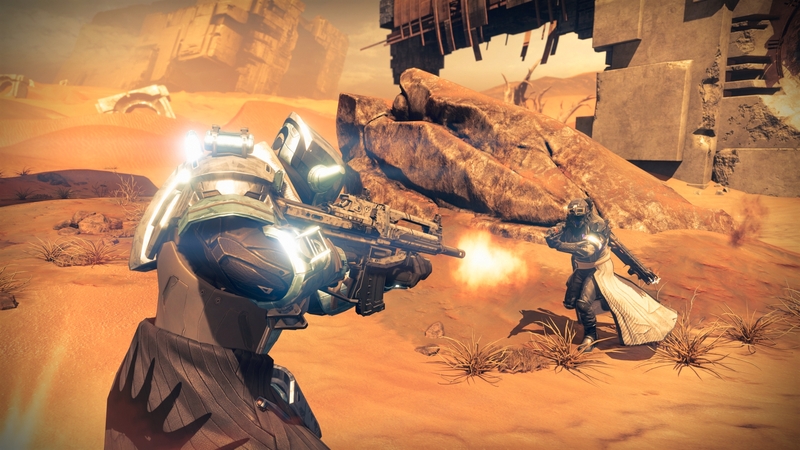 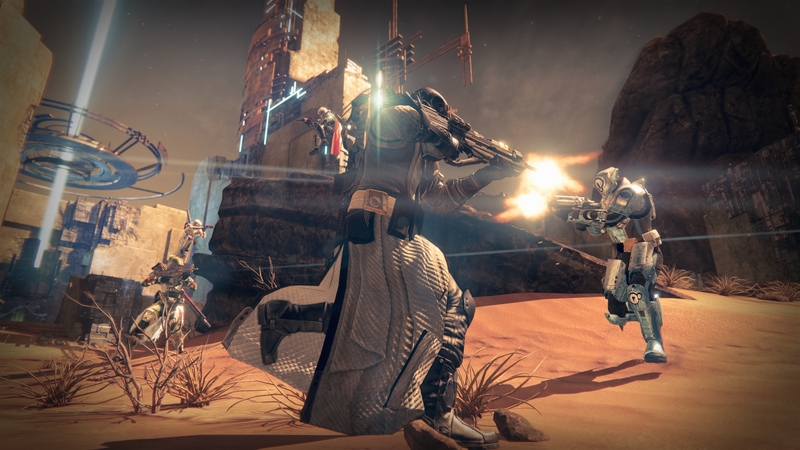 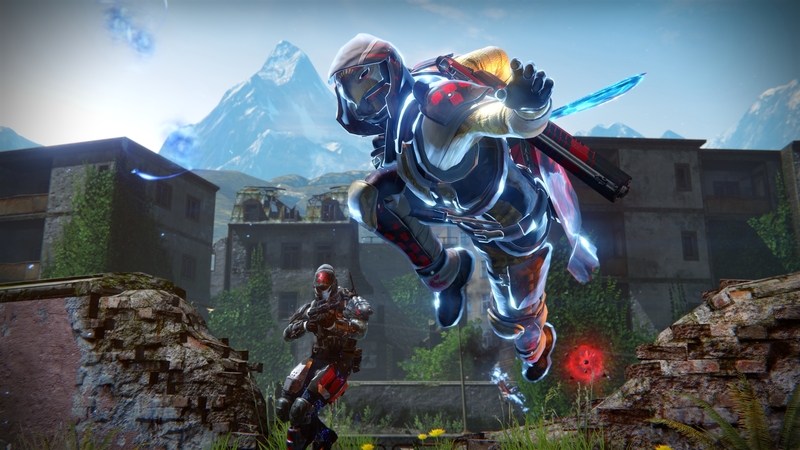 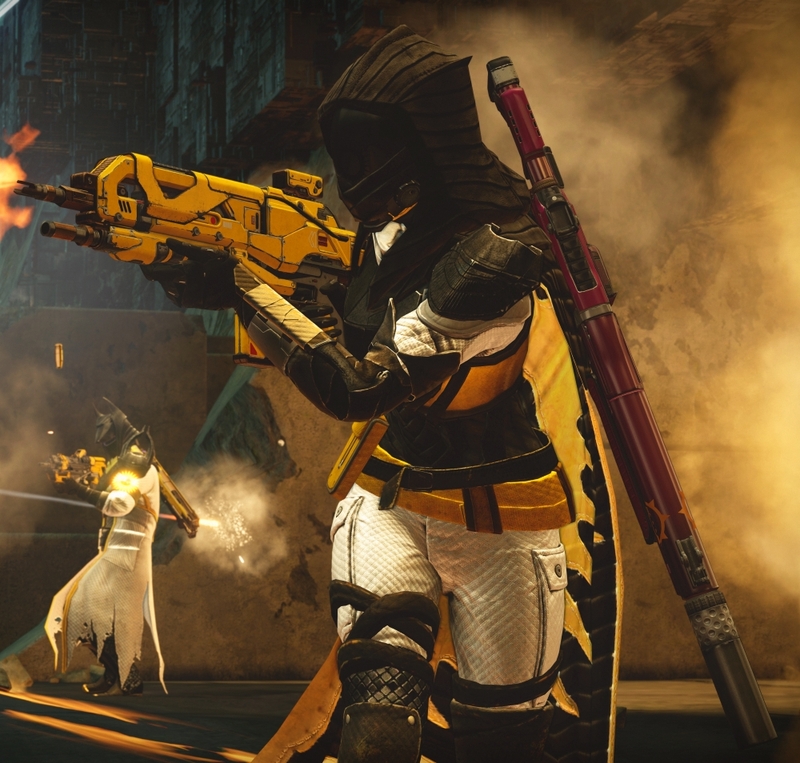 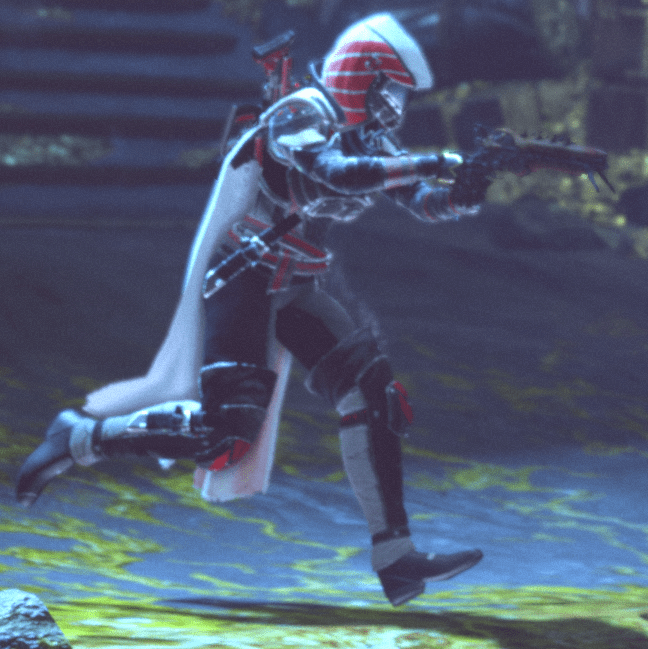 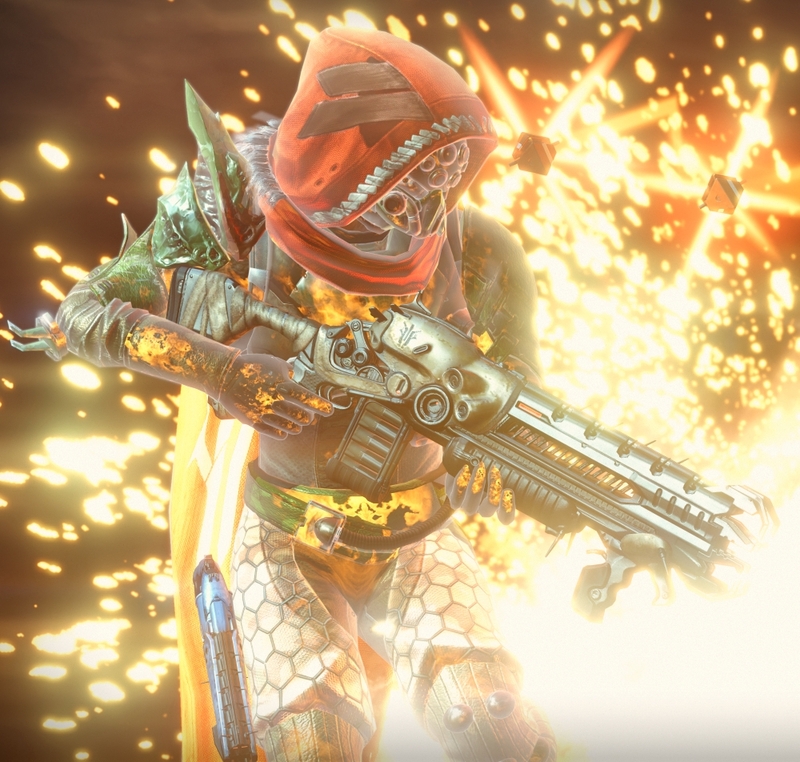 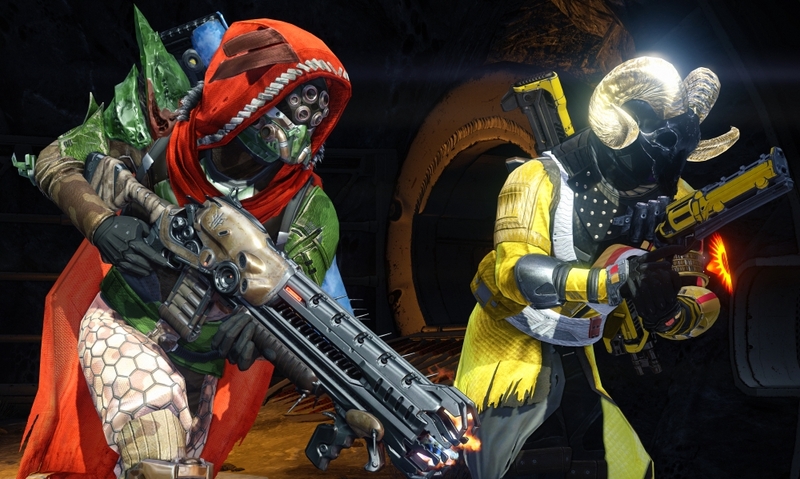 You can see the Titan wielding the “Shock Pistol” – a reward from the Prison of Elders. 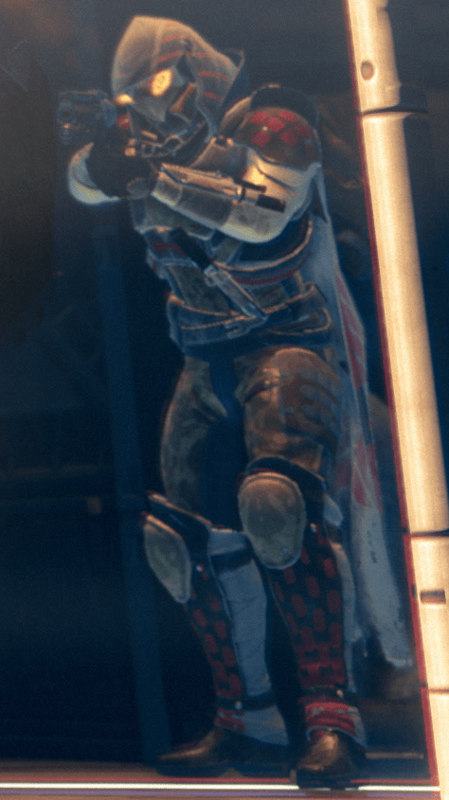 The Warlock is wielding the same weapon the Queen’s Guard uses, suggesting it may be a quest/mission reward. 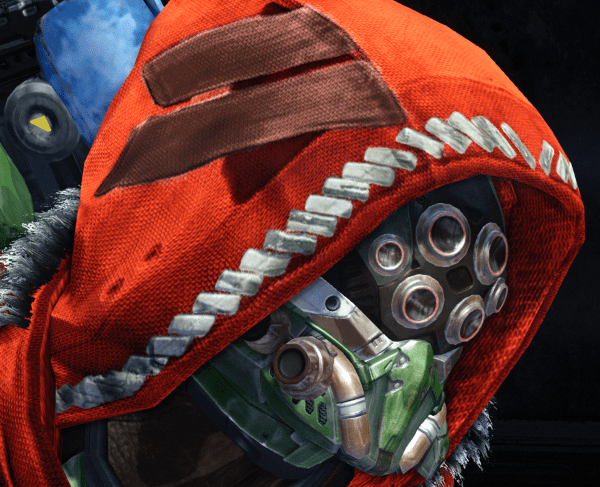 Appears to be the Queen’s Wrath mission/quest reward – may be in the secondary (special) slot.